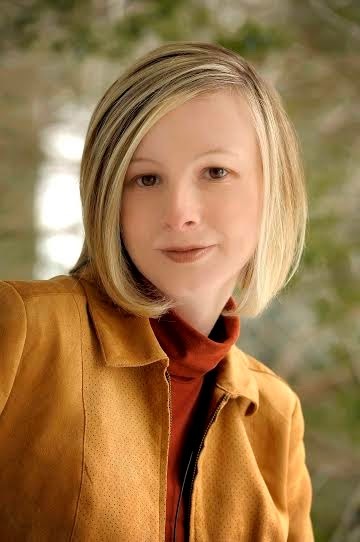 Author Jaleigh Johnson is here today at Adventures of Cecelia Bedelia for an interview. Her middle grade debut The Mark of the Dragonfly combines steampunk, an epic train ride, and a wholly magical adventure. The Mark of the Dragonfly was released by Delacorte (Penguin Random House) on March 25th, 2014. Jaleigh Johnson is a lifelong reader, gamer, and moviegoer. She loves nothing better than to escape into fictional worlds and take part in fantastic adventures. She lives and writes in the wilds of the Midwest, but you can visit her online at www.jaleighjohnson.com or on Twitter @JaleighJohnson. The Mark of the Dragonfly has been described as steampunk and sci-fi. What is your favorite thing about writing steampunk/sci-fi? Well, the “steam” parts were a lot of fun to write, especially the 401 train and its defenses, but I think my favorite thing about writing the steampunk elements of The Mark of the Dragonfly is that I was able to explore the impact of an industrial revolution when combined with an age of exploration. I think that’s more of the “punk” part of the equation. I wanted to write a book where these two forces—exploration and technology—collided and left the world struggling over limited resources, how that would create its own class system, and how it would impact people like Piper, who are at the bottom. What is the most interesting discovery you made while researching The Mark of the Dragonfly? I think the most interesting (and unsettling) discovery I made was that as much as I love trains, when I started writing I knew very little about how steam engines work, so that was a huge hurdle to overcome. I also had no idea how dangerous early rail travel could be, or that some people were afraid of the effect that travelling at those high speeds would have on the human body. And by “high speeds” they were talking about anything over 13 miles per hour! For that fact, and many others, I owe a lot to The Railroad Passenger Car by August Mencken. What are you favorite middle grade/YA speculative fiction titles, aside from your own? I love Madeleine L’Engle’s books, my favorite being A Wrinkle in Time, and anything written by Robin McKinley, especially Beauty, Rose Daughter, and The Hero and the Crown. Do you have any hidden (or not so hidden) superpowers? Hmm, that’s a hard one. Most people are surprised when I tell them that my day job is doing tax and accounting work. Hehe, maybe it’s a superpower to be able to balance all those numbers and words in my head at once. It can be maddening too, though. At the moment, I’m reading Flora & Ulysses by Kate DiCamillo and loving it. Talk about superpowers. Super-powered squirrels for the win. What new(ish) book do you wish you'd read as a kid (or at least earlier in life)? Good question. I’m going to cheat a little because this isn’t new. But more than a specific book, I really wish I’d discovered Diana Wynne Jones when I was younger. I came to her books just a few years ago with Howl’s Moving Castle. I love her writing now, but I would have loved it when I was a kid too. It just goes to show how many amazing books there are out there to discover. I know I’ll never find them all, but it doesn’t stop me from trying. 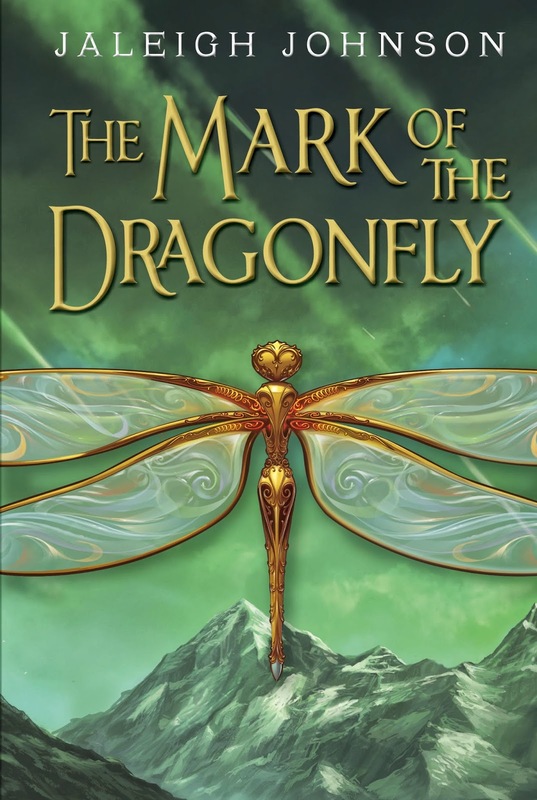 Fans of The City of Ember will love The Mark of the Dragonfly, an adventure story set in a magical world that is both exciting and dangerous. Piper has never seen the Mark of the Dragonfly until she finds the girl amid the wreckage of a caravan in the Meteor Fields. The girl doesn't remember a thing about her life, but the intricate tattoo on her arm is proof that she's from the Dragonfly Territories and that she's protected by the king. Which means a reward for Piper if she can get the girl home. The one sure way to the Territories is the 401, a great old beauty of a train. But a ticket costs more coin than Piper could make in a year. And stowing away is a difficult prospect--everyone knows that getting past the peculiar green-eyed boy who stands guard is nearly impossible. Life for Piper just turned dangerous. A little bit magical. And very exciting, if she can manage to survive the journey. Fine print: I received an e-ARC of The Mark of the Dragonfly from the publisher for honest review. This post is not sponsored in any way. Flora and Ulysses is pretty good taste too. My copy of this just arrived from the library --looking forward to it! I hate it when books don't fulfill the promises of the cover! It sounds like a weird thing, but it's a thing. So glad I'm not alone.